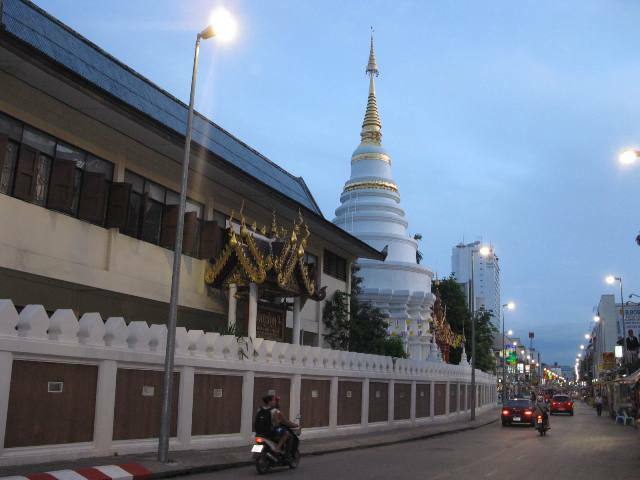 The second largest city in Thailand is called Chang Mai and is located in the North of Thailand. It's a popular destination for everyone who wants to escape the crowds of Bangkok or the beach bars of Phuket and Pattaya. 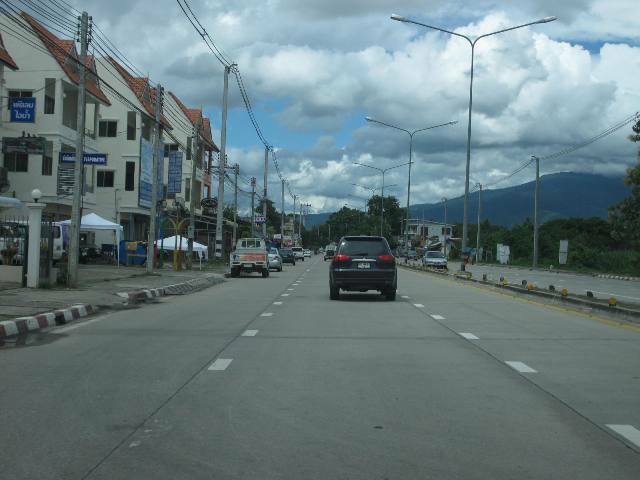 The surroundings of Chang Mai are green, in the background you will always see the hills covered with trees. It is also cooler in the North. 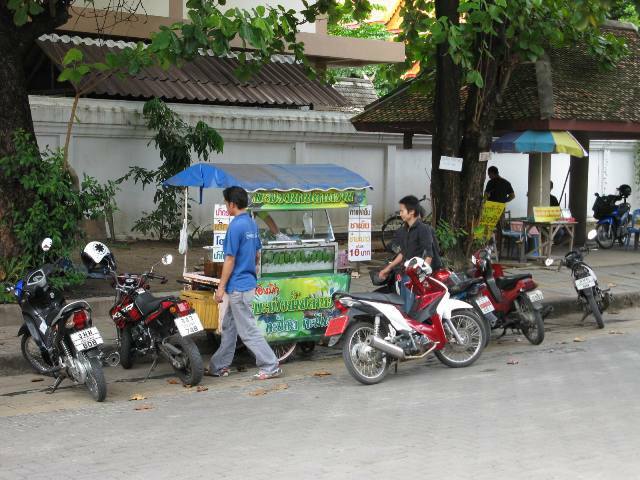 Especially during the hot season this might be an extra reason to explore Chang Mai. Apparently there are 1 million people living in greater Chang Mai but you will not get this impression. 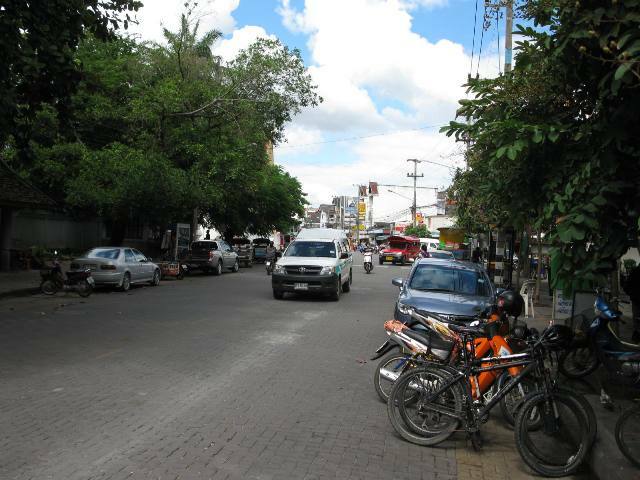 The city center is not blocked by traffic and the atmosphere is simply relaxed. 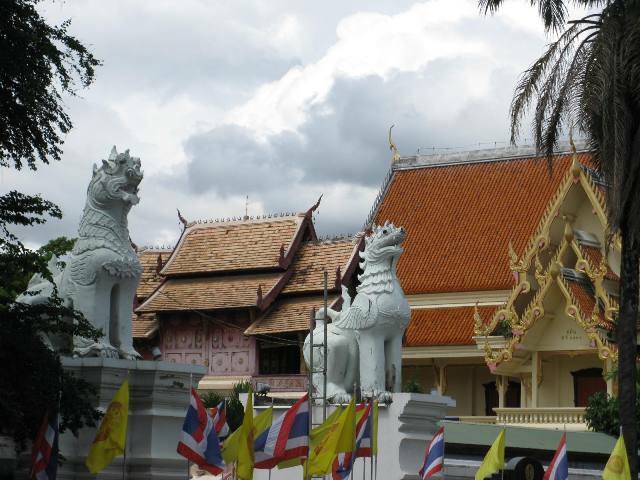 The city has more than 300 temples, lower prices and a very good night market where you can buy nice handmade decorative objects besides all the normal stuff. 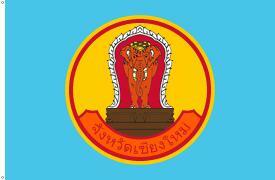 Many people visit Chang Mai in order to visit the famous hill tribes. Although modern times and tourism changed the way the hill tribes live they still try to preserve their cultural heritage. It's walking along a track discovered by many tourists already but it is still worth the trip. Especially if you go deep into the hills in a trip which can last up to one week. The day trips are different, don't have high expectations. The six major tribes in Thailand are the Karen (Kariang, Yang), the Hmong (Meo), the Yao (Mien), the Akha (Ekaw), the Lisu (Lisaw), and the Lahu (Mussur). It's visible everywhere. More space, less traffic. Although it wasn't perfect weather during my visit in October 2010 Chang Mai caught my attention just like it did 10 years ago. This picture was taken in the very center of the city around noon. I had a nice lunch at a restaurant where the Dutch co-owner even sells Dutch snacks. 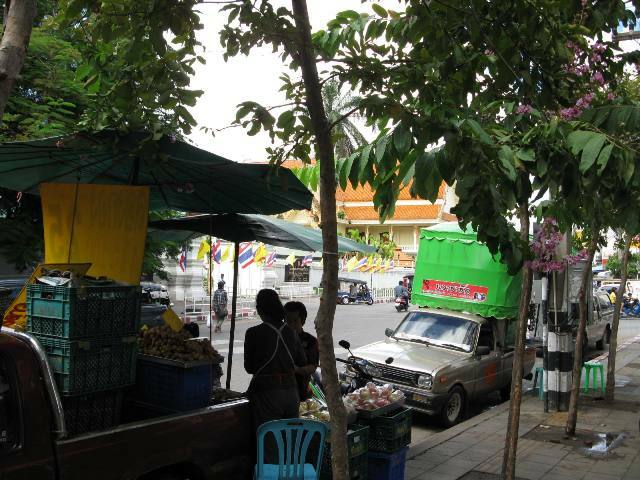 Street vendors in Chang Mai are selling popular Thai food besides from local food. 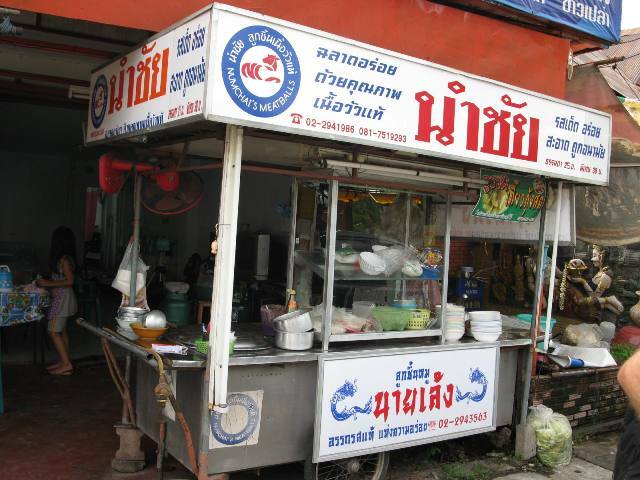 One of the things you should try in Chang Mai is the so called Khao Soi. It's a coconut based curry seasoned with curry powder and served over egg noodles. Besides from cultural and historic places, there are plenty of contemporary and natural attractions to keep you busy. Doi Suithep/Pui National Park lies nearby with its wonderful waterfalls and lush environment, and the Mae Sa Valley to the North offers elephant camps, a botanical garden and more.